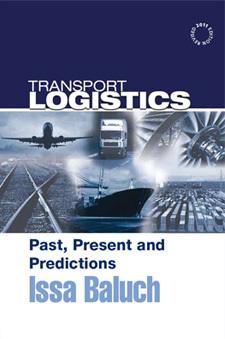 In this book ‘Past, Present & Predictions’ 37-year industry veteran Issa Baluch examines transport logistics innovations in great projects of the past, analyzes the challenges of today’s dynamic industry, and shares his vision for its possibilities in the future. Transport Logistics first presents ten case studies of historical projects that demanded careful transport logistics management. It surveys a wide variety of projects, some of them successes and some of them failures. Building the Great Pyramid in Egypt required careful project management and innovative transport methods to bring 2.3 million blocks to the building site. The transport logistics practiced in the Berlin Airlift helped defuse a diplomatic stand-off which could have resulted in a third world war. Military operations during the Second Punic War, the Battle of Stalingrad, and the Falklands (Malvinas) War required the mobilization and transport of resources (human and otherwise) on a massive scale. Humanitarian emergencies, such as the one experienced in the wake of the South Asian tsunami, demand close co-operation among aid agencies to procure, transport, and distribute food, water, and shelter in volatile and challenging situations. Whether these projects were related to construction, engineering, military actions, or humanitarian relief, they all required transport logistics and placed great demands on logistics managers.